How many minutes will you sweat this week? That’s today’s writing prompt from FitApproach as part of the #Holidaysweat challenge with Sweatpink and Run to the Finish. 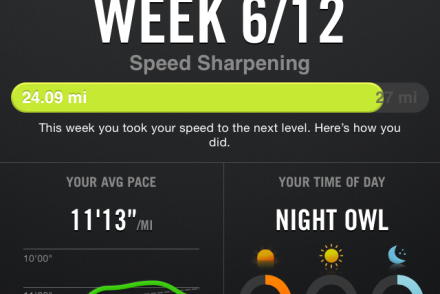 This week’s goal is to sweat 111 minutes by running 10 miles just like I did last week. You may say, that’s not a challenge since you were able to do it last week. But to that, I say, yes it is. When you go from not running to running consistently it is imperative that you don’t add on too many miles too fast. Consistency is important just like anything else, but scaling your training is just as important if you want to keep injuries at bay. You still have time to sign up and stay active this Holiday season. Not only are there prizes involved, thanks to prAna, but you’ll have the satisfaction of knowing that you don’t have to be at the gym on January 2nd as part of any resolution you’ve made. You would already been active for almost 2 months by then! What are you waiting for? Go do it now. You’ll be glad you did!